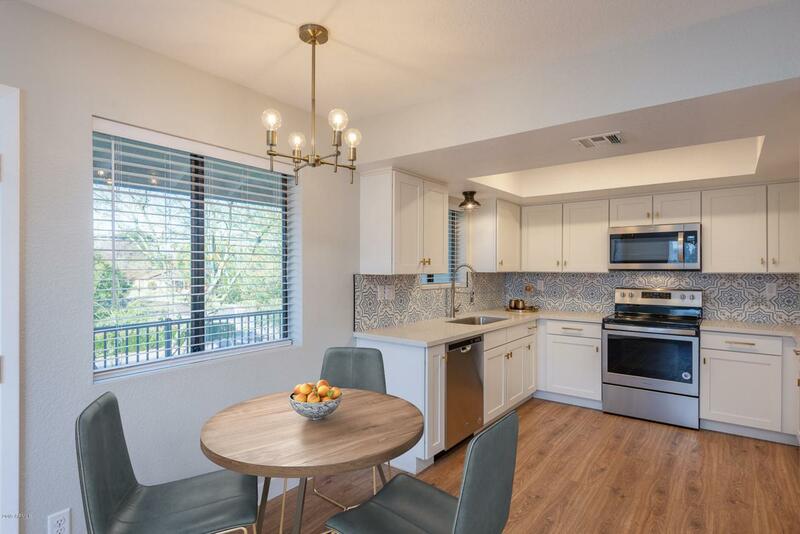 *Enjoy the best of Arcadia in this modern and trendy 2 bed, 2 bath condo! 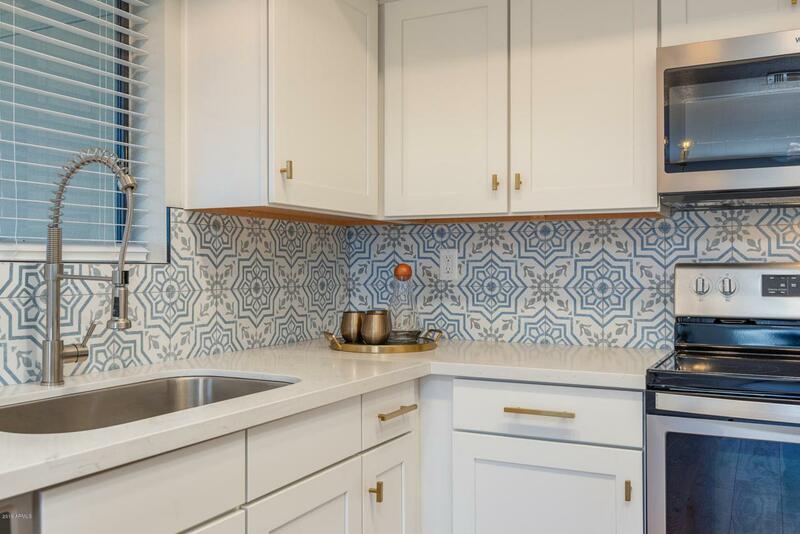 * The gourmet kitchen is complete with beautiful shaker cabinets, quartz counters, and geometric tile backsplash. The open and bright living room boasts a custom built floating entertainment wall, complete with a new Smart LED TV. Both bedrooms feature ample space and oversized closets. Relax in the luxurious master bathroom with a contemporary designed shower, concrete-look flooring, and upgraded fixtures. Unwind on the private patio overlooking mature landscaping, then head to the nearby sparkling community pool. 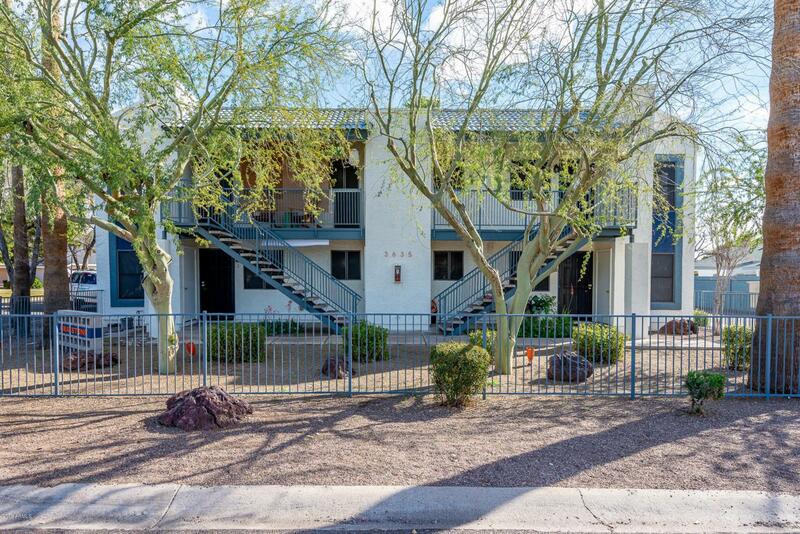 This area is highly desirable with new construction being built throughout the neighborhood. 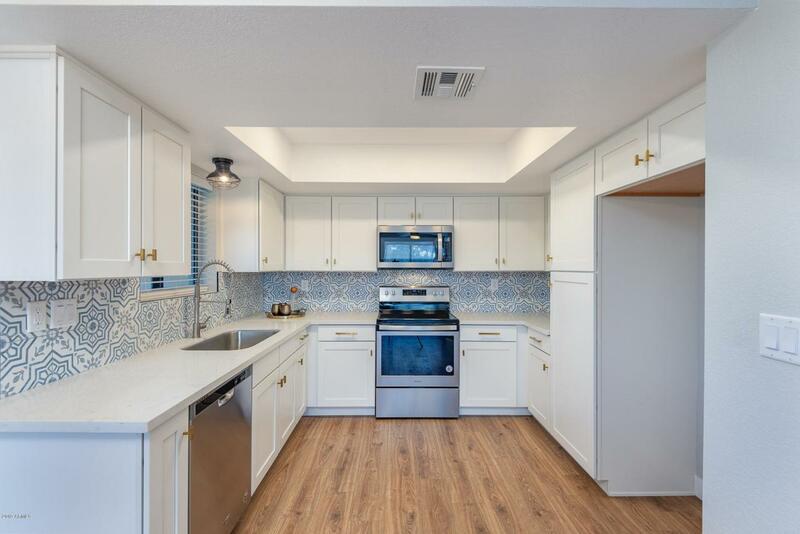 Don't miss this fully remodeled beauty!